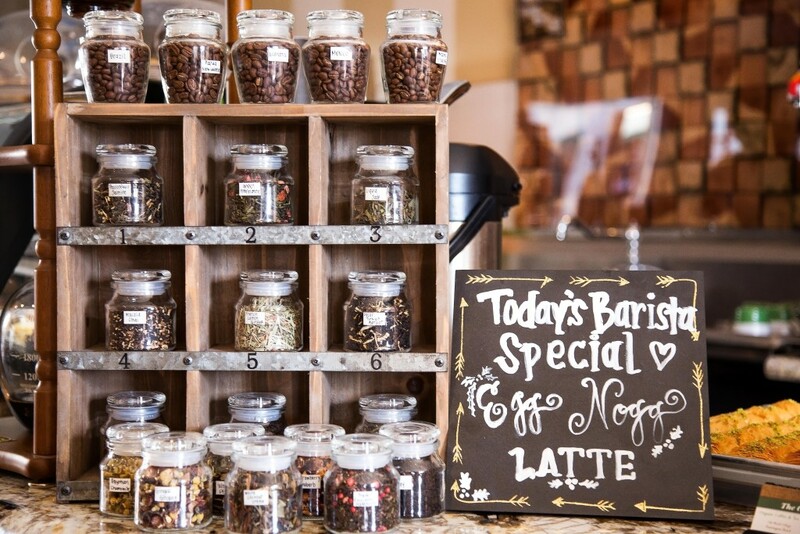 It is not often you find a place as special as The Coffee Tale, located in Huntington Beach, California. 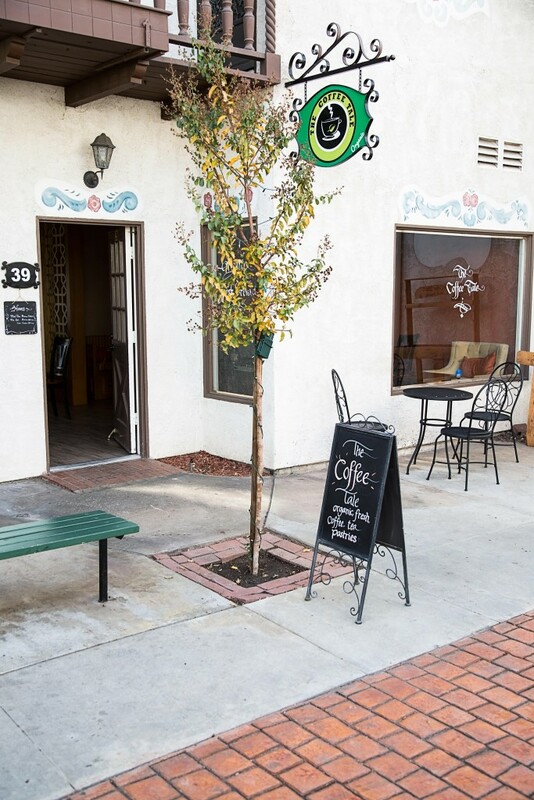 The Coffee Tale is the first specialty coffee shop in Huntington Beach.Tucked away in Old World Village, a fun place to explore itself. I fell in love the moment I walked into the welcoming specialty coffee shop. This is not just any coffee shop. What stood out from the moment we entered, is how welcoming everyone is, from the barista, owner, down to the customers. I experienced my first Turkish Coffee here, and now I have dreams about it. 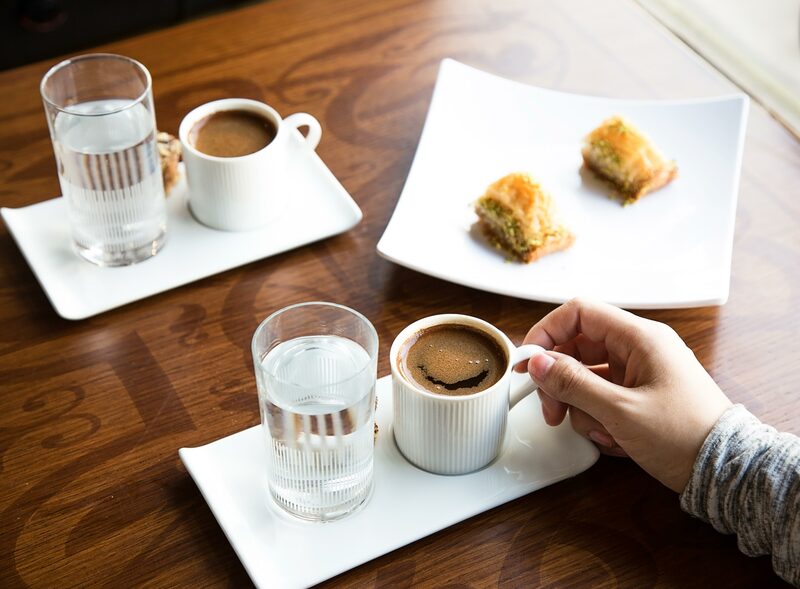 Hilmi, the wonderful owner shared with us how to properly drink Turkish Coffee, which is filtered with grounds at the bottom of the cup (don’t drink the grounds). You take a sip of water to cleanse the palette. 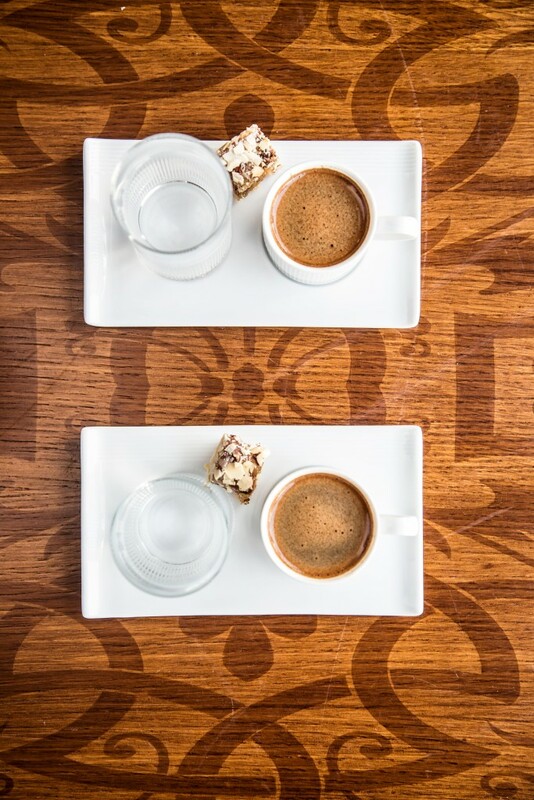 Take a sip of coffee, then a bite of Turkish Delight. I have to say that I have never had such a wonderful morning cup of coffee. All of the coffee and tea served at The Coffee Tale is certified organic. 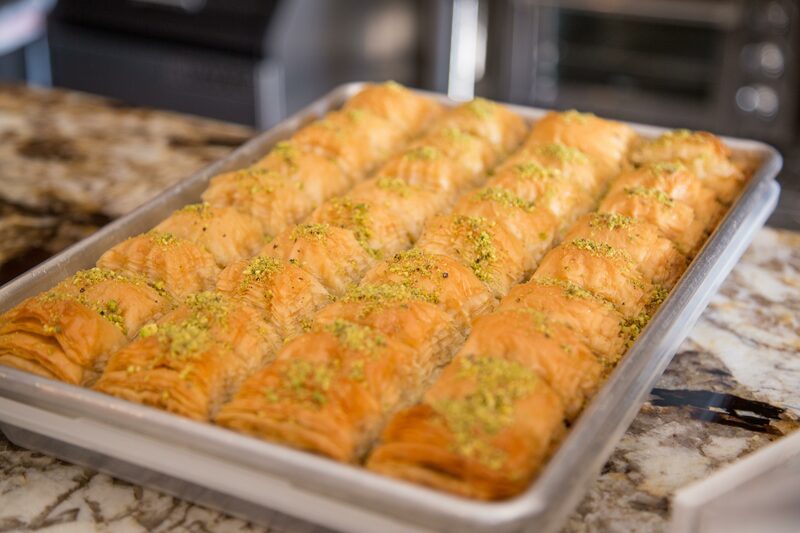 They offer delicious baklava. Some of the best baklava I have had since my travels to Greece. The table we were seated at was hand picked by Hilmi and brought over from Turkey. The Coffee Tale truly is a tale. Himli shared with us his love for coffee and how he had a vision to create a space for people to gather and communicate. He wanted a community. Each piece of furniture and fixture was imported from Brazil or Turkey. It took him over a year to create his vision. What I love so much about the place is that Himli’s positivity, love, and welcoming spirit is everywhere when you walk in. 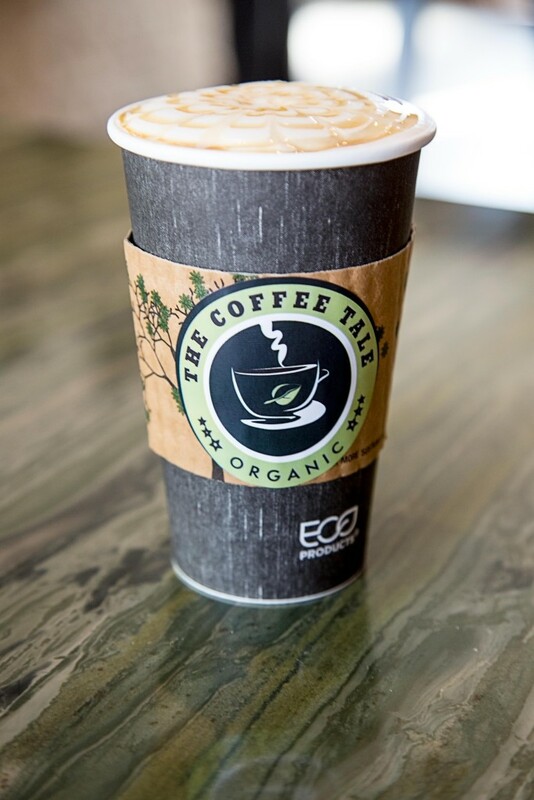 You cannot help, but feel happier and fuller when you visit The Coffee Tale. He is so proud of everything he carries in the shop down to the organic chocolate bars and amazingly delicious cookies. Everything is recyclable and purchased with the environment in mind. Everything has been thought out and carefully executed with love. The ambiance is relaxing. 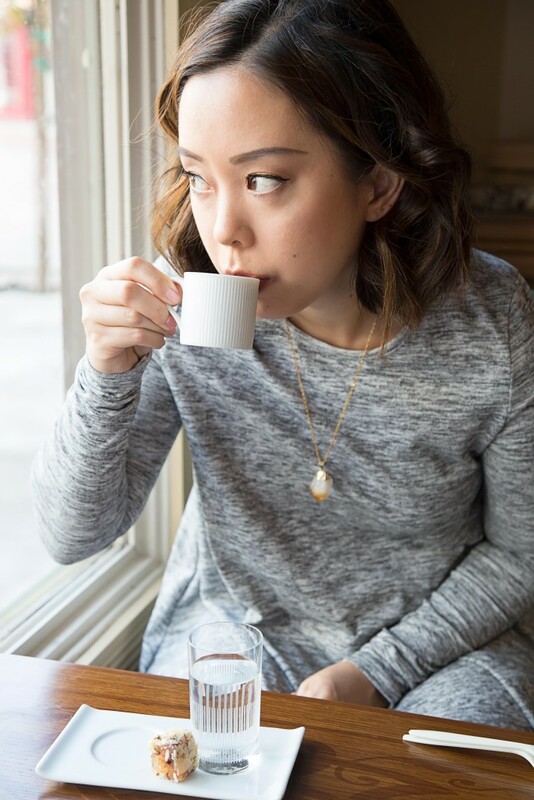 You can find friends meeting up and chatting, students having study groups, neighbors finding conversation for the first time, and coffee lovers enjoying their coffee by the window or outside taking a stroll. This is a place I wish I had in college. Actually, I wish The Coffee Tale was down the street from my house now. On the way out, I grabbed a coffee togo. Himli suggested I try a caramel macchiato, since I like my coffee on the sweeter side. I have to say, this was THE BEST CARAMEL MACCHIATO I HAVE EVER HAD! First off, the beautiful flower design in caramel was gorgeous! 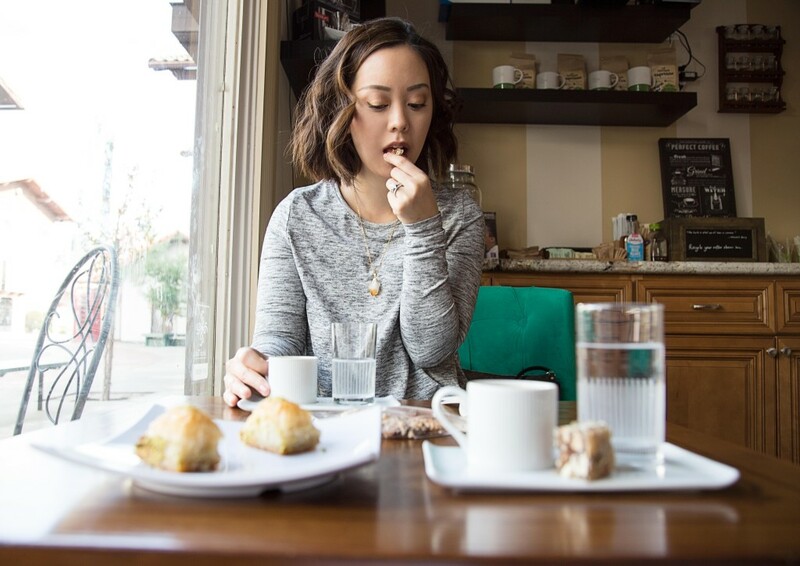 Then, the first sip… you get the latte taste, but with a hint of caramel. Every so often you will get an extra bit of caramel and it is a wonderful surprise for the palette. The espresso was smooth and not earthy at all. The quality of the coffee is roasted and brewed to perfection. The perfect cup of coffee for this coffee snob and lover. If you are in the area, The Coffee Tale is a place you must visit. Luckily I make several trips down to OC in a month and will defiantly be stopping by whenever I get the chance. All photos taken and edited by Ledford Creative. Wow, this place sounds amazing ! This looks so good! If I ever get to visit California I want to visit here!